Later when it grew hot, Mark, his brothers and cousins shed their shirts and jumped into the pool, then sat poolside, soaking wet and playing dominoes, drinking beer, talking over each other and joking around. Dylan wanted to swim but avoided going outside when they were all there in a group, finding them overwhelmingly masculine and intimidating. Mark sat among them, as loud as they were, laughing and slamming his dominoes on the table they’d pulled outside from the great room for the game. Ava would have loved this, Dylan remembered thinking, as she peered out at them. Then Mark had spotted her and excused himself abruptly. Peter sat down to take over his hand at dominoes. Did you want me for something? He’d walked up to her, his chest almost touching hers, and Dylan swallowed. The way he said that . . .
She looked up at him and he smirked at her, like he could read her mind. Raising one dark eyebrow he held her hand, pulling her along with him into his bedroom suite, shutting the door and putting his hand at her back. With one swift motion he’d loosened the knot on her halter top and lowered his head to her breasts. Dylan’s chest heaved as she tried to catch her breath. Just as she’d begun to enjoy that, to bask in it, Mark suddenly turned her around again so her back was to him. He walked her forward and bent her over the bed, running his hand up her spine, pressing her face against a pillow as he did. He reached around to her front and unfastened the waist of her shorts, pulling them down and spreading her legs as he did. Dylan felt his hands again, cupping her, his fingers spreading her, massaging her until she was squirming against him. He leaned over her, arms braced on either side of her on the bed, holding up his weight. This is going to be quick, he said. We have maybe five minutes before one of my cousins or my brothers come barging in here. You . . . you didn’t lock the door? Dylan asked, panicked and excited at the same time. Well, let’s . . .
She made as though to pull away and Mark gripped her about the waist with a forearm which felt like solid rock against her abdomen. Too late for that, he said. And that was when she felt him, already hard and pressing between her legs. With his free hand he continued to rub and stroke her as he pushed into her, exhaling deeply once he did. He moved his hips back and forth and in circles, and she groaned and pushed back against him, no longer caring who might come barging in. Within moments, Mark doubled the speed of his movements, stimulating her with his fingers, moving in and out of her and gripping her tightly about the waist all at once. It didn’t take long before Dylan was crying out, and with a deep moan, Mark emptied himself inside her. He rested against her for a minute, kissing the back of her neck then slowly pulling out. Dylan heard him close the zipper of his jeans. Crouching, he pulled her shorts back up and with unsteady hands refastened her halter top. She had barely caught her breath before he had her completely dressed again, as though nothing had happened. But when he turned her to face him again, his eyes were warm, like melted dark chocolate. He cupped her face in his hands and leaned in to kiss her, so sweetly . . .
Don’t wash up, he said against her ear. I like knowing some of me is still inside you. And then he left. Dylan was still pulling herself together, recovering when she heard him rejoin his brothers and cousins by the pool, ordering Peter out of his seat. If you’re interested, you can get it here. 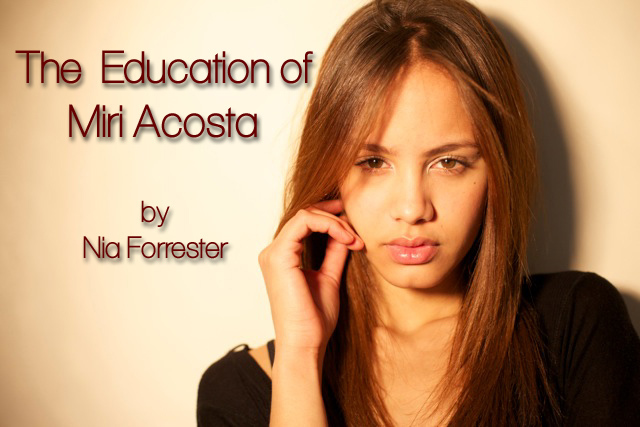 ‘The Seduction of Dylan Acosta’ is Live on Amazon! One caution for those who haven’t read my blog before, this book is not erotica. Despite the word ‘seduction’ in the title, this is contemporary fiction about a regular girl and not so regular guy in irregular circumstances. Read chapter one here, and then if you’re intrigued, buy the e-book here! And then, by all means, let me know what think by leaving me a review. P.S. The page count in Amazon says 283. That’s the Kindle count, but the real page count is 380. Going through the books I’ve read and rated (a part of my quest to identify all the books I ever read), I noticed something interesting. I give many five star ratings. I don’t think it’s because every single one of those writers wrote a perfect book – whatever that is – but it has more to do with whether or not what they wrote made me feel something. I rarely read solely because the subject is “interesting”. That I do for my other work around social policy. In that life, I read things that are interesting and that inform me about a particular issue and make me more effective as an advocate, speaker and writer; I enjoy it immensely and have learned so much about my country, the world and human nature in general. But when I read recreationally, I read to “feel” something. If I learn something as well, that’s certainly a bonus. So it’s been interesting to read reviews that other folks write, particularly bad reviews, of books that I enjoyed. Often, the negative reviewer will list at length the ways that the main character frustrated them or made them angry, how the protagonist made decisions they were befuddled by . . . and then they’ll go on to rate the book at one or two stars. How can it be, I wonder, that you were made to feel something just by reading this author’s words on a page, and then go on to undervalue those words? Now, this is very different from the negative review that says, “I just didn’t believe it. The author did not convince me” that these characters were in this situation, or that being in that situation, they would have made the decisions they made. That, I think, may merit some disappointment. But to acknowledge that the writing evoked an emotion and then go on to say that you didn’t like the book because you didn’t like the emotion itself, puzzles me. Here’s an example of what I mean. When I saw the movies, ‘Gone, Baby Gone’ and ‘Mystic River’, I was absolutely horrified and made despondent by the subject matter. I was literally haunted by both for weeks after I’d seen them. Now imagine if I had been a movie critic and panned both on that basis alone. Similarly, Chris Bohjalian’s book ‘The Double Bind’ continues to disturb me to this day, years after I first read it. I see it on my bookshelf and walk past it quickly, preferring not to even look at the cover, perhaps ever again. That emotion, however uncomfortable, does not take it off my list of all-time best books I ever read, almost purely because of how it makes me feel. In my own writing, I strive for that. I want my characters to piss you off, or make you love them, or make you sad. If someone says that my main female character is a “nasty piece of work”, my hope is that they mean she’s a flawed person, not a flawed product of my imagination. In my soon-to-be-released book ‘The Seduction of Dylan Acosta’ my struggle has been that the main character is very unlike anyone I know, and certainly very unlike me. She is painfully insecure, easily susceptible to the influence of others, and not at all sure of who she is. These character traits make her say and do things that I find inherently unsympathetic. And that makes it tough to get in touch with her. So I’ve had to constantly remind myself that I need not like her choices, or even like her. I simply need to believe her. I hope you’ll check out ‘The Seduction of Dylan Acosta’ next month and then write me a review telling me if you believed her. In the meantime, read the teaser and leave me a comment.